Future dates to be announced. Check our schedule page. Suggested Donations for NC grassroots match requirement: $3 per person; $10 per family. No tickets will be mailed. A donor list will be at the venue. Donations can be made the day of the concert (cash or credit card). Thank you for donating. Your contribution will be matched $ for $ by CPM’s NC Grassroots Grant. 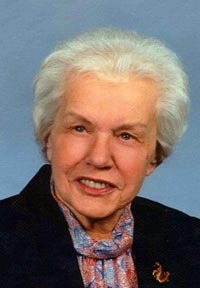 Ann T. Hite was a loyal supporter of Carolina Pro Musica for the first 25 years. Her presence at concerts and contributions made much of what the ensemble accomplished possible. Additional gifts from Aimee and Paul Losse of Shelby, NC., matching funds from PPG, and later money directed from the Foundation for the Carolinas were also a part of this. 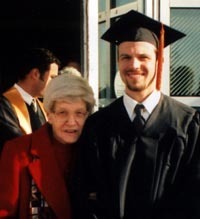 Ann and her husband Bernie (who died in 1989) as well as Aimee and Paul Losse had a great interest in education. It seems fitting that we start a fund for education in memory of Ann who had helped children throughout her entire life. Contributions to this fund will allow us to offer special student tickets to our regular concerts as well as do other educational programs. Several contribution have already been made to this fund. We also recieved a one time gift from the Losse estate. Exposure to early music is a breath of fresh air to literature, history, language, culture and artistry through the ages. It makes life a joy. Your contributions will help further this joy. Contributions can be made by check or through PayPal. They are tax- deductible to the extent allowed by law. Any amount is appreciated.